Purchasing a house with a HECM reverse mortgage has the great advantage that it does not impose a monthly payment burden on the borrower. Pros and cons to using a HECM Reverse Mortgage to purchase a home. Purchasing a house with a HECM reverse mortgage has the great advantage that it does not impose a monthly payment burden on the borrower. The disadvantage is that the reverse mortgage will cover only about 50-60% of the house price, depending on the borrower’s age, requiring the purchaser to find the remaining needed cash elsewhere. The most common source is asset liquidation. Seniors who go this route have two decisions to make. First, they must decide whether they want to draw the largest amount of cash possible and pay the highest mortgage insurance premium (MIP), or draw 60% of the maximum and pay a lower premium. Second, they have to select the lender offering the best terms. Most house purchasers select the HECM that maximizes the cash draw that can be applied to the purchase, minimizing the amount they must raise from asset liquidation. However, this is not necessarily the most advantageous way to go because HUD penalizes borrowers who draw the maximum amount of cash at closing. They must pay an upfront mortgage insurance premium (MIP) of 2.5% of property value, compared to an MIP of 0.5% when cash draws are no more than 60% of the maximum. The borrower who limits the upfront cash draw to 60% of the maximum receives a credit line for the remaining 40%, which can be exercised after 12 months. The benefit is that the loan balance in the future will be lower because of the lower MIP. This could be important to seniors who are concerned with the amount of home equity they leave in their estate. The downside is that the borrower will have to come up with more cash at closing, by liquidating more assets or by borrowing for a year. The credit line provides an assured source of funds for repaying any such loan. I illustrate this choice with a hypothetical unmarried senior of 72 purchasing a $400,000 house financed by lender A, one of the reverse mortgage lenders who report prices to my web site. See the first two lines on the table. If the purchaser selects the high MIP, she can borrow $86,610 more at closing, whereas with the low MIP she gets a credit line of $94,560 after 12 months. If she takes the low MIP and draws the full line, she will also owe less after 10 years, although the difference is not great. 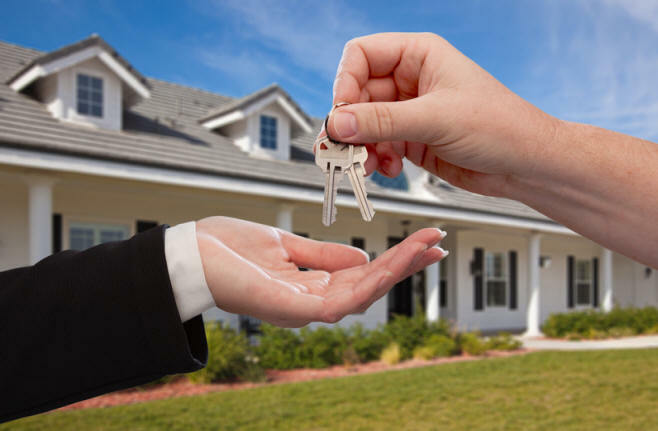 But before making a decision on which way to go, the purchaser should look at what other lenders offer. The reverse mortgage market is extremely inefficient because very few borrower try to shop. As a result, the prices of identical transactions can differ materially. This turned out to be very much the case when I shopped the lenders on my site for a reverse mortgage that would finance a house purchase. Five lenders quoted prices for both low-MIP and high-MIP transactions. Lenders A and D quoted the same price for both. Lenders B and C quoted a higher price for the low-MIP case. And lender E quoted a higher price for the high MIP case. I was not surprised that lenders would price the low-MIP case higher because these transactions have smaller initial loan amounts on which originators earn a premium, so they are less profitable. I was not surprised that lenders would price the MIP options the same because they might not want to discourage the low-MIP option. But pricing the more profitable high-MIP case higher makes no sense at all. Price differences between the lenders are shockingly large. On a high MIP loan, lender D charges a rate of 4.427% while lender C charged 3.552%, a difference of 0.875%. Bear in mind that these lenders know that they will be shopped. If I had price data for lenders who advertise on TV, I am sure the price spreads would be even wider. The house purchaser with access to the data in the table would select lender C if she wanted the maximum cash draw at closing, and either C or E if she wanted the low MIP. Purchasers who attach themselves to one lender without knowing how that lender’s pricing compares to others take an enormous gamble. That is the rationale for my multi-lender network.